Law Offices of George L. Steele! The Law Offices of George L. Steele is a law firm that has maintained a tradition of crafting creative, cost-effective solutions to successfully meet the challenge of representing a broad range of clients. 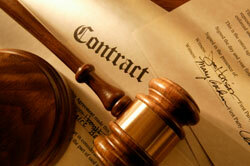 The firm has extensive experience in representing Indian Tribes in a wide variety of matters. We possess the necessary skills required to respond to a tribe's particular legal needs effectively and efficiently. We recognize the unique needs of both Indian tribes and those with whom Indian tribes do business. The firm is committed to providing responsive and cost-effective solutions for our tribal clients. Handling administrative law matters such as government-to-government issues, and preparation of applications for fee to trust land acquisitions. © 2013 Law Offices of George L. Steele. All rights reserved..